The Maysville Event Center, formally the Maysville Conference Center is a beautiful art deco building in the heart of downtown Maysville. Centrally located within walking distance to our local churches, Limestone River Landing, hotel, historical sites, shopping and restaurants. 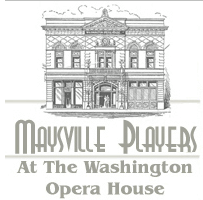 The newly renovated Maysville Event Center is a beautiful venue to host a variety of events…..weddings, showers, banquets, cocktail parties, meetings, reunions. Our professional staff will be more than happy to accommodate and guide you thru your event. D & D Catering, Inc., (20 years experience) is very proud to be your in-house caterer to take care of your food & beverage needs.